Successfully Added Full HD Dash Cam - 170 Degree Viewing Angle, Sony Sensor, Wi-Fi, 1.5 Inch LCD Screen, G-Sensor, Loop Recording to your Shopping Cart. A 170-degree wide angle lens makes sure nothing goes unnoticed on the road ahead. This full HD 1080P dash cam uses is as compact as they come, taking up minimal space on your windshield or dashboard it won't ever get in your way. With a Sony 323 sensor, this dash camera records great quality footage and the wide-angle 170-degree field of view captures the full road ahead. A 1.5 inch LCD screen is enough to help you line up the camera and lets you see what is being recorded. 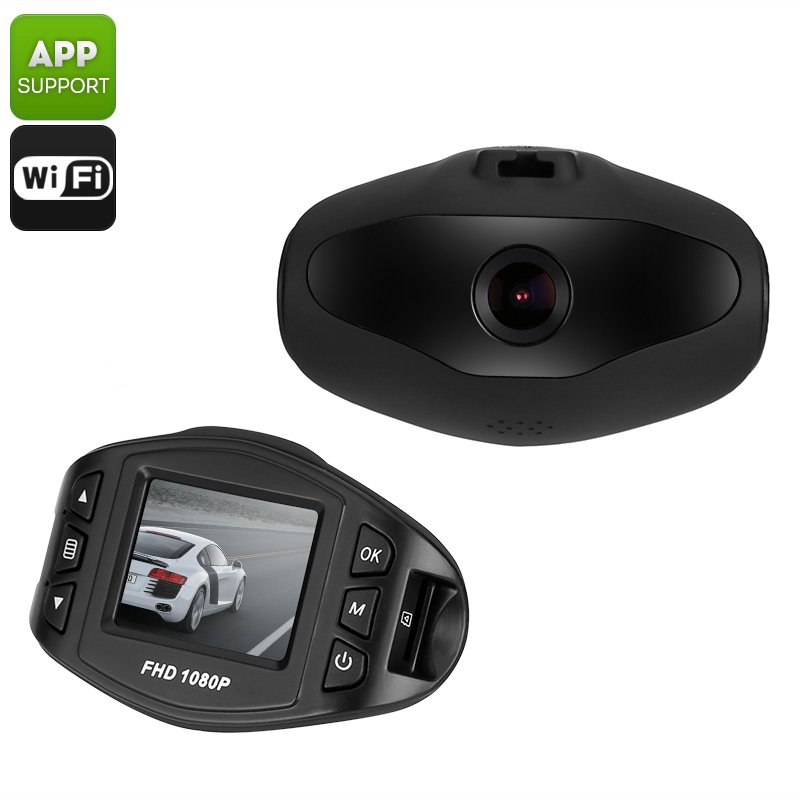 Wi-Fi connectivity lets you use this car DVR with your Android Smartphone so you can reply the action in greater detail and save the footage to your phone so it can be instantly shared. Great for those candid camera moments or funny bloopers that befoul our streets. It also provides extra safety from highway incidents allowing you to disprove malevolent insurance claims injurious action by third parties. Seamless loop recording means that this car dash cam won't miss a thing and with a built-in G-sensor the car DVR will lock and video recording that occurred during a collision or sudden erratic movement. This ensures valuable evidence is kept safe and can't be recorded over so you have the best defense should the worse happen on the roads. There is also a manual key lock function so if you ever feel threatened you can lock away recordings as a means of protection. Accommodating a 32GB micro SD card and using lossless H.264 video compression this dash cam can store plenty of data whether its full HD recording of scenic road trips or 12MP snapshots of your journeys there's room for it all on this car DVR. Full HD dash cam comes with 12 months warranty, brought to you by the leader in electronic devices as well as wholesale car cameras and review backup cameras..